Prof. Dr. Hristo Krotev is one of the leading contemporary Bulgarian choral conductors. He received his BM and MM degrees in the National Music Academy in Sofia where he studied Choral Conducting with Prof. Georgi Robev's class and Composition with Prof. Alexander Raychev, graduating with the highest diploma in his Class of 1988. Since 1992, Dr. Krotev has been working as Professor of Music at the American University in Bulgaria, Blagoevgrad, where he founded and still leads the Mixed Choir of the American University in Bulgaria (AUBG Choir). In 2000, Prof. Dr. Krotev initiated and established the biannual International Festival. Meeting of Student Choirs in Blagoevgrad, hosted by the American University in Bulgaria, and became the festivals Executive Director. He also directs the City Children Choir of Blagoevgrad and has previously worked with the Orpheus Male Choir. With his choirs Prof. Krotev has won a number of Laureate degrees and prizes from international choir competitions and festivals in Spain, Germany, Austria, Czech Republic, Slovakia, Hungary, Greece, Russia, Bulgaria, Macedonia, and Turkey. 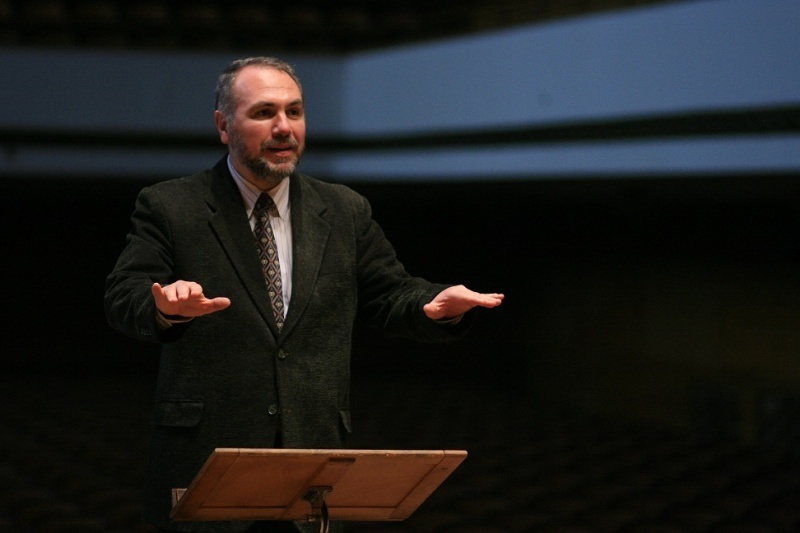 Prof. Dr. Hristo Krotev is author of choral, vocal and piano music, with over 20 scholarly publications in the country and abroad and with two published monographs. He is a frequent jury member of prestigious international choir competitions and has recorded for the Bulgarian National Radio and Bulgarian National Television. 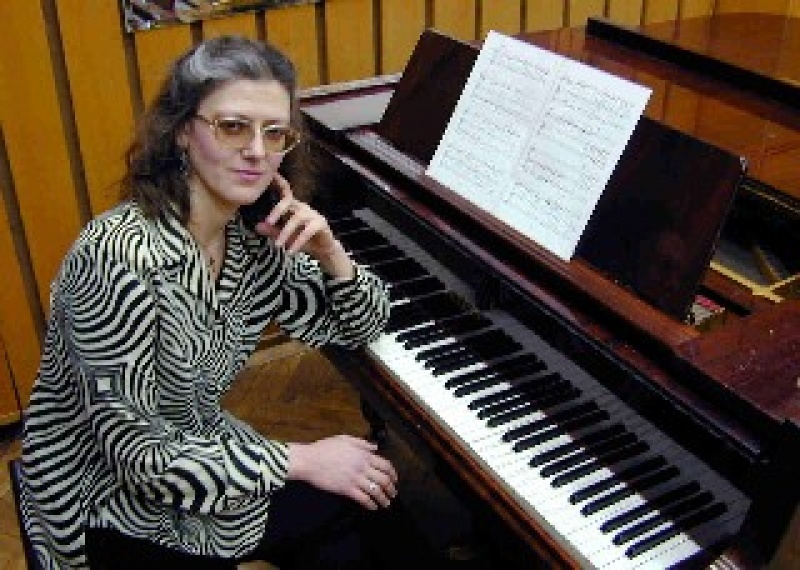 Dr. Nikolina Kroteva graduated from the National Academy for Music, Dance and Arts in Plovdiv, Bulgaria, in 1990 with major Music Pedagogy with Piano. Right after graduation she started her pedagogical carrier teaching Piano at the Saints Cyril and Methodius National Humanitarian High School in Blagoevgrad. In 1996 she continued her academic carrier at the Neofit Rilski Southwest University, Blagoevgrad, where she currently works as a Senior Assistant Professor of Music after completing her PhD dissertation in 2011. She studied Organ with the eminent Bulgarian organ player and instructor Velin Iliev and then with the Austrian organist Karen de Pastel. Along with teaching, Nikolina Kroteva has been the choir accompanist of AUBG Choir since 1993 and the City Children Choir of Blagoevgrad since 2003. Kroteva is a founder of both choirs. In the past, she continually worked with the Blagoevgrad Orpheus Male Choir, City Boys Choir, and the student choir of the Southwest University.